You know, that quote about the future already being here. I saw a tweet at the end of last year about an airport in Helsinki that had already gone 5G replete with welcoming robots. All this progress in various stages of 5G planning, rollout, development, and, well, freakout (conversations we were having in back channels) prompted me to wonder if the time was right to revisit the idea of launching a “5G Adoption Council.” The market conditions were similar. At least here in the U.S., they were very similar. A heck of a lot of change is coming fast to the Enterprise and all I see out there are vendors and high paid experts driving the conversation on what customers should be doing. Large enterprises can benefit now by sharing notes and intelligence at this early stage of technology transformation. There’s no better way to learn how to innovate than to learn how to innovate together with your peers, across industries and geographies in a transparent and generous network of like-minded individuals who share the same values. If that sounds like fun and something interesting to you, and you work for a large enterprise of more than 10K employees, consider joining us. We started putting together a team of interested individuals. 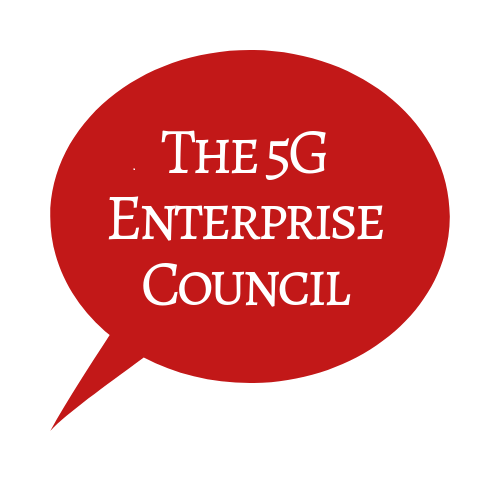 We’re calling it The 5G Enterprise Council. You need to fill out this form to apply. But, that’s it. We’ve got plans for a variety of programs and learning opportunities, especially for charter members. If you were a member of The 2.0 Adoption Council, you will appreciate this new and improved Council. Imagine… we will venture outside of the cloud for field trips! Everyone says 5G is going to change everything. It is. But it won’t change what happens when a group of people get together to enjoy each other’s company and help each other grow. Come grow with us into the future. Social Business: Pining for the Fjords! So, which is it dead or not dead? There is so much confusion in the market about what “Social Business” is, it might as well be a dead parrot (too). And there is no shortage of people who come at this conversation with a perspective that simply adds more confusion based on their orientation or specific economic agenda. No one knows this struggle better than I. I had lost the battle to preserve “Social Business” for its original owner, Muhammad Yunus, who by-the-way is trying to solve global poverty and a Nobel Peace Prize winner, sometime in 2009 in discussions with the social cognoscenti. My former employer and friends at the Dachis Group had settled on repurposing Social Business to describe the evolving phenomenon, and after I was acquired, I too fell in line eventually rebranding the Council I had created for early adopters of Enterprise 2.0 to become “The Social Business Council.”* I think the goal had always been to create a singular view for the market, and I supported the direction. But, even as I was leaving Dachis Group in the summer of 2012, we took a pulse to see how many of the early adopters had fully integrated their internal social collaboration initiatives (collaboration and learning) with their external social media marketing initiatives (sales and marketing), and wished we hadn’t asked. I knew the number would not be high, but I was literally shocked to see the response was nearly zero. The actual number was 4%. The number was so startling that when I presented it at a Jive user’s group meeting here in Texas, people were somewhat alarmed. So, I repurposed the figure in the report to reflect how many people said they had plans to do it, but currently had not done it. The reality that surrounds this issue is we are really talking about two different planets that share the same language based on the principles of the early web 2.0 phenomenon and open web. But, anyone who’s played in both these camps will readily acknowledge that a digital strategist or VP of Consumer Strategy has no idea what social collaboration is inside the enterprise and most likely spends his/her entire day in email, teleconferences, meetings, and ppt. And, someone who’s running an internal enterprise social network has no idea who the top players are in SMMS (or what that acronym even means). The problem is becoming somewhat unwieldy, however, because people who do not know better can easily confuse expertise in one area with the other. Some of the senior enterprise folks in our network are facing career track issues with this right now. Further, there’s now evidence of attempts at rationalization taking place, trying to shoe-horn the whole shebang into a singular phenomenon. Nice try, and if it leads to changing the world, we’re for it. She nails it in that “new” question. We’ll be talking about some of those answers in an upcoming webinar we are doing next week in cooperation with our sponsor partner, Socialcast by VMware. The webinar will provide a reality check on where social is today, but more importantly, will talk about the underlying trends that are driving enterprise-sized businesses to become more network-based and adaptable. You’ll have the pleasure of listening to thought leaders Simon Terry and Harold Jarche share their insights on why social matters now more than ever before. Simon will explain how we got here, what the problem is in the market, and Harold will explain ways we can begin to address these problems today. We’ll cover a few case studies and have lots of time to do Q&A with webinar participants, so please sign up and join us. We look forward to your participation. This webinar kicks off a series of projects we’ll be doing with Socialcast to educate the market. We have a lot more in store as we roll into 2014 too. As always, thanks for your support for the great work we’re doing at Change Agents Worldwide. You can support us by tweeting (@chagww and #caww) about us, liking us on Facebook, following on on G+, joining our public community on G+, and following our updates on LinkedIn. Of course, don’t be shy about joining us as well. Things are going to change in 2014 for new members, so if you’ve been considering joining, now would be a good time. Last thing – Deloitte and MIT Sloan Management Review are running a fairly good survey on trying to get to the bottom of some of these issues and to mitigate some confusion in the market. I highly recommend you complete the questionnaire. We’re also very excited about Change Agent Jane McConnell’s Digital Workplace results which will be out in early 2014, as well. See you next Thursday! And, as always, interested in your comments. *Sadly, one thing is deader than a dead parrot: The Social Business Council. Dachis Group shut it down this month. It was a great resource for many early adopters and fans, and its legend lives on in the halls of Wikipedia if you’d like to update the page. Webinar Recap: Have Social Business Tools Killed the Intranet? Author Susan ScrupskiPosted on December 5, 2013 December 5, 2013 Categories 2.0 Adoption Council, research, Social Business, Trends ResearchTags Change Agents Worldwide, deloitte, Enterprise 2.0, MIT SMR, Muhammad Yunus, Nilofer Merchant, Social Business, social collaboration, Social Media, SocialcastLeave a comment on Social Business: Pining for the Fjords! When we set out to investigate case studies, we were looking for “slam dunk” examples where 2.0 initiatives were inextricably tied to business results. In effect, we wanted to begin to dispel the criticisms that e20 was just the next silly, narcissistic exploit to enter the enterprise on the heels of yet another consumer fad: web 2.0. Well? We didn’t find those “slam dunk” examples. But, neither did we find any “failures.” What we did find was a massive movement shaking the bedrock of enterprise as we know it. The enterprise plates are still firmly in place, but our investigation revealed tremors– sudden energy being released among the employee population that is poised to crack the foundation of business as we’ve known it. Time and time again we heard, “This is the most important initiative I’ve ever worked on in my professional life.” There’s something chilling, something inspiring about the people and companies who are leading the charge toward reinventing themselves to become socially savvy. As you read through these profiles and cases, you’ll come to appreciate while all of these companies are still early in the process, they all are confident they will succeed in their long term goals. Some are realizing early successes already. The prevailing operational mission at present, however, is to succeed at catalyzing the “ideological reformation” at the root level of the organization that needs to take place before real business value can be extracted, measured, and fine-tuned. It’s a bit of a Catch-22, and almost as maddening and dangerous as originally described in the novel that coined the phrase. We will continue to track the progress of these early adopters. Regardless where you are in the spectrum, we all succeed when every case succeeds. We’d like to thank IBM and MIT’s Center for Digital Business for lending support and sponsorship to this series of cases and profiles. Special thanks to all @20adoption members who participated in the series. Current profiles and cases are posted on The 2.0 Adoption Council web site. Feel free to download at will. We have a few more coming, as well.